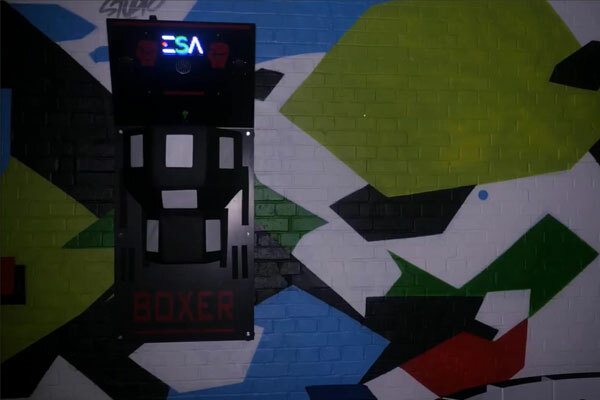 Get Prices for ESA Boxer. Contact us Today! 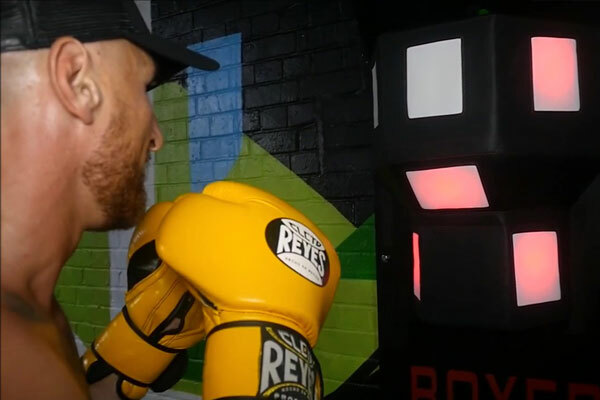 The Boxer uses ESA's pioneering LED light technology to create a new and exciting training aid for boxing professionals and enthusiasts. 6 targets form the Boxer system, testing accuracy and reaction time as the lights move from target to target. Using the Boxer, the individual will face a series of professionally designed challenges in a new concept pitting man against machine. Each training program is created to improve a fighter's fundamental attributes, and points are scored with each successful punch. Sequences can be changed to suit the boxer's ability and stage of development. Score feedback is given via the ESA interface so trainers can track improvement. Statistics include the time between punches, to accurately measure fatigue. 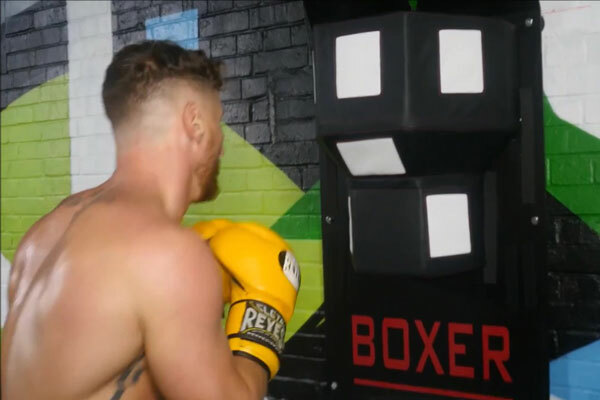 The Boxer, first and foremost, can be wall-mounted or free-standing, enabling fighters of all ages and weight classes to use the Boxer. The training aid is made from real leather and is designed to create the same cushion feel from hitting a traditional wall-mounted boxing target. 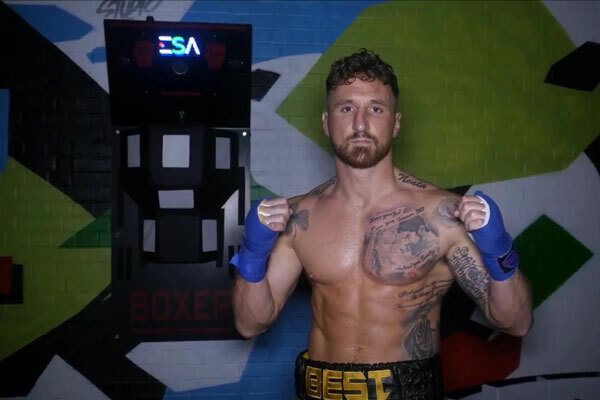 It is complete with a digital scoreboard for competition and tracking performance, and speakers which create the atmosphere of being in the ring. You may be eligible for a free 7 day trial. Get your hands on the Boxer and see how good it is. Call for futher information. It's a well known fact that stimulating the brain during physical training can significantly improve results. 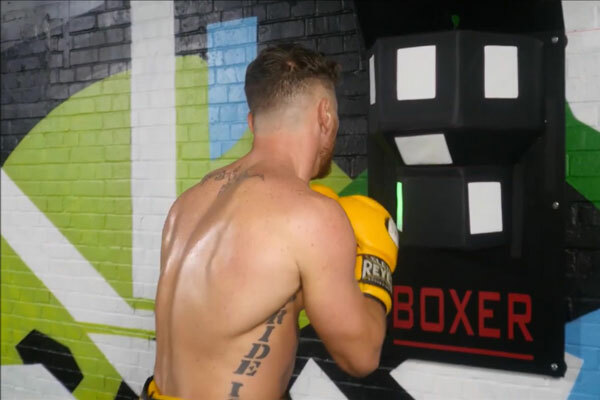 The Boxer smart light sequences tranforms the basic boxing workout into a highly engaging activity that tests both body and mind. Build a rock-solid core and sharpen-up your reflexes at the same time. Fun and Competitive: The Boxer scoring system is perfect for individual goal-setting as well as providing a platform for competition between users. Wall-mounted units are especially good for locations where space is limited. It's compact design ensures that it can be easily added to your facility without compromising space needed for other equipment.